Healthcare featured prominently in the minds of many voters heading to the polls in the 2018 Midterm elections. 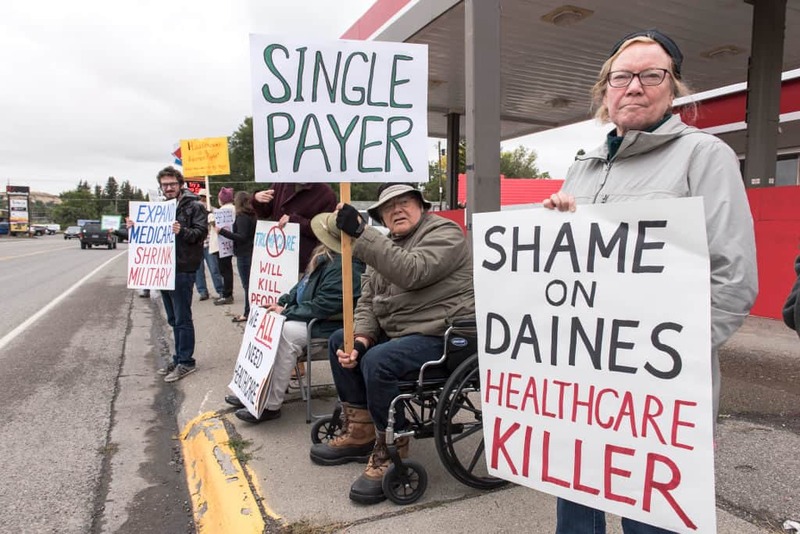 The Democrats made upholding Obamacare and protecting the health coverage of Americans with pre-existing conditions a key feature of their campaign messaging and it was crucial to their success in taking back the house. On Monday, Republican attorneys general filed a lawsuit to strike down the Affordable Care Act (ACA) and have the law thrown out. The Department of Justice (DoJ) issued a two-sentence letter to a federal appeals court officially reversing the administration’s opposition to a lawsuit challenging the ACA. If successful, it would leave 20 million Americans without coverage under the 2010 law. This puts the House Republicans in a challenging position. They will be forced to either support President Trump’s decision and risk alienating voters or challenge the president on an unpopular filing. House Minority Leader Kevin McCarthy has reportedly called the president and expressed his concerns. Axios reported that McCarthy phoned Trump today and warned him of the political implications of his decision. He allegedly told the president that his decision made no sense given the Democrats’ victory in November, due in part to their handling of pre-existing conditions. McCarthy is not alone in his opposition. Politico reported that the president’s Health and Human Services Secretary Alex Azar and Attorney General William Barr both opposed the decision. The previous official DoJ position was in favor of dropping parts of the ACA, including protections for individuals with pre-existing conditions, but did not seek to throw out Obamacare in its entirety. However, the DoJ will now apparently endorse a position in support of a District Court judge’s ruling that the individual mandate is invalid. This effectively supports the removal of the entire law.